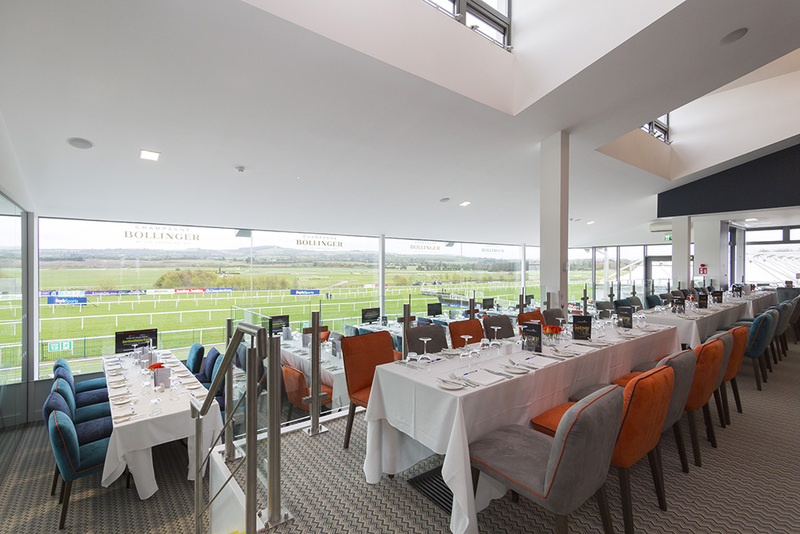 The Watch House Restaurant in the panoramic stand offers what is probably one of the best views in Irish sport, as the finishing straight gives way to the rolling hills and the Wicklow mountains beyond. 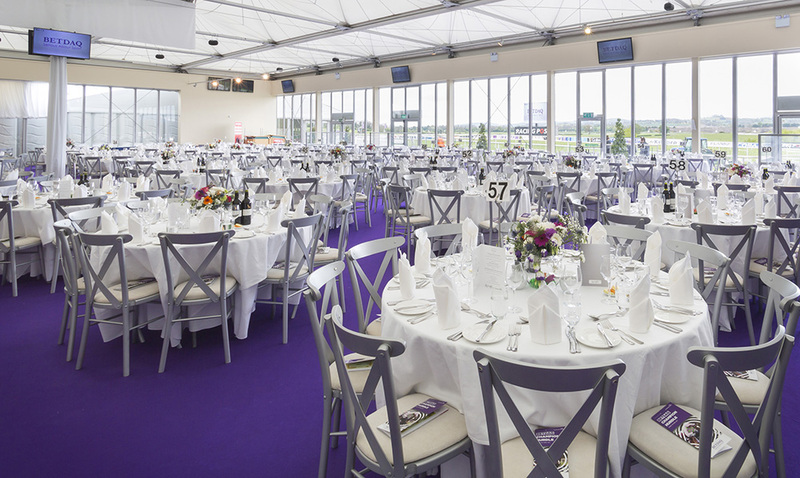 LOCATION: Located on the first floor of the panoramic stand overlooking the finishing straight. 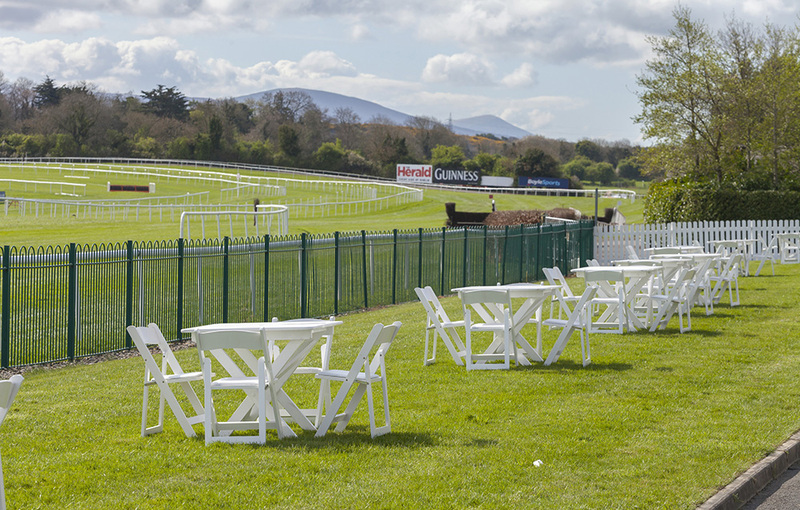 Convenient access to the viewing terrace and bookmakers ring. STYLE: Traditionally styled restaurant with a more relaxed atmosphere than some of the larger venues. TABLE: Private tables of 10. 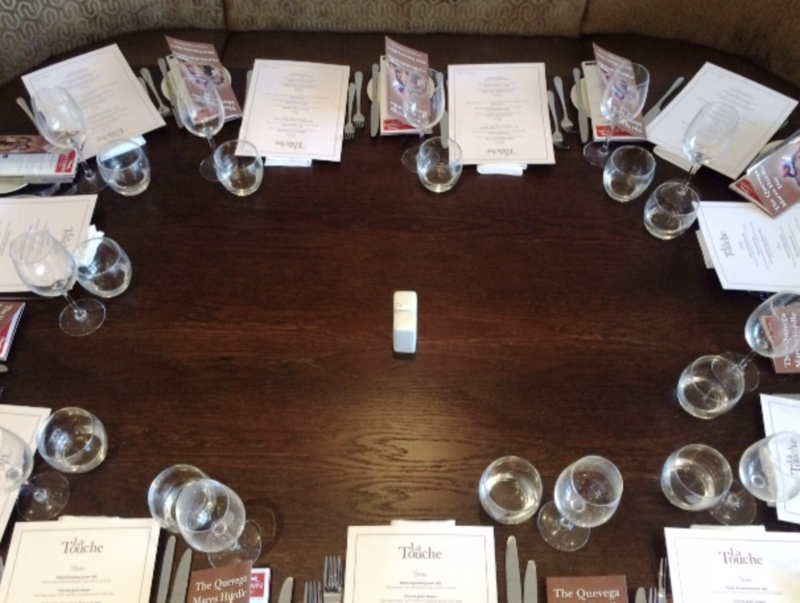 Smaller groups will be accommodated on shared tables subject to availability. 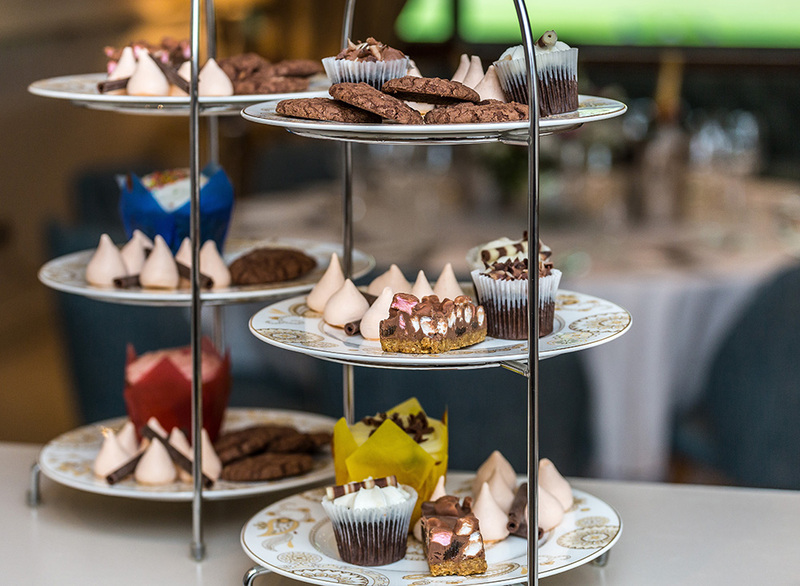 FOOD: Delicious four course á la carte lunch served to your table followed by Afternoon Tea. DRINKS: Full cash bar served to your table. Specially designed for the occasion wine and champagne list. Account tabs can be set-up on the day or in advance. EVENT PACKAGE: Reserved enclosure admission, racecard, reserved parking (1 pass per 2 people), live action feed on flat screen t.v’s. BETTING SERVICES: Tote and bookmaker facilities. Guest tipster. 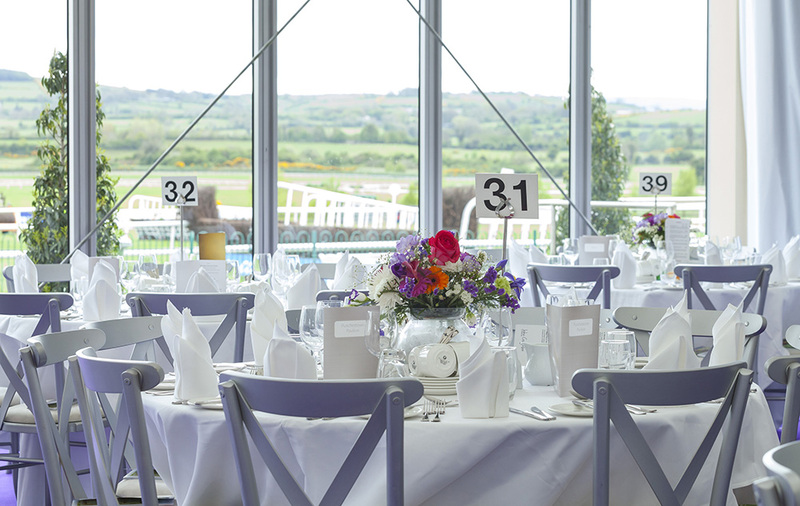 To chat through your Punchestown dining options please contact Laura, Sue or Margaret on +353 (0)45 897704 or click the 'Make An Enquiry' button above. 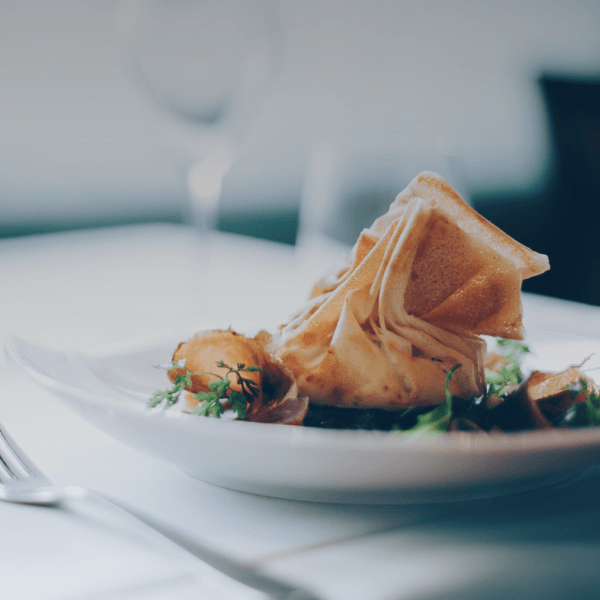 This restaurant was launched at the 2017 festival and was the star of the hospitality show. Those who dined there in 2017 made sure to book their spot for the 2018 festival. Keen to keep an eye on the runners, riders, style and activity in the parade ring and surrounding enclosure- la touche is the place to be. 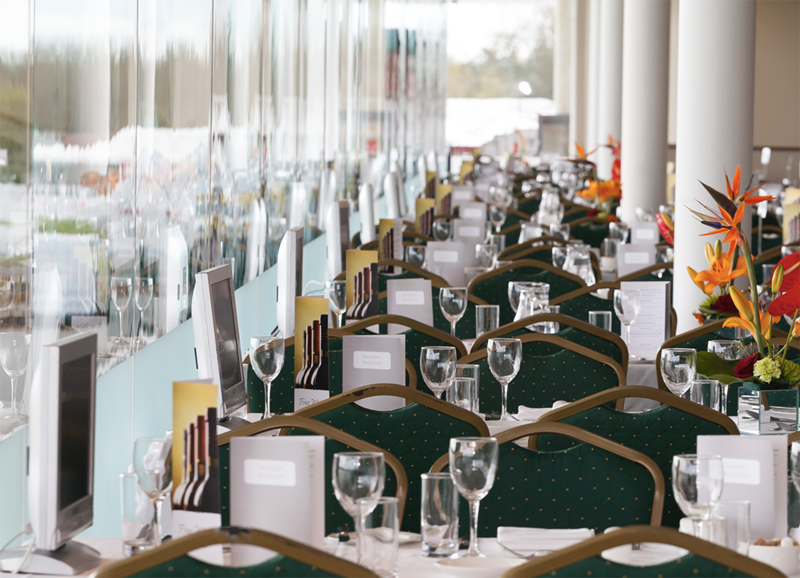 LOCATION: First floor overlooking the parade ring and main enclosure. STYLE: Newly refurbished, relaxed atmosphere, booth and loose seating, stylish interior. TABLE: Private tables of 2 - 12 subject to availability. 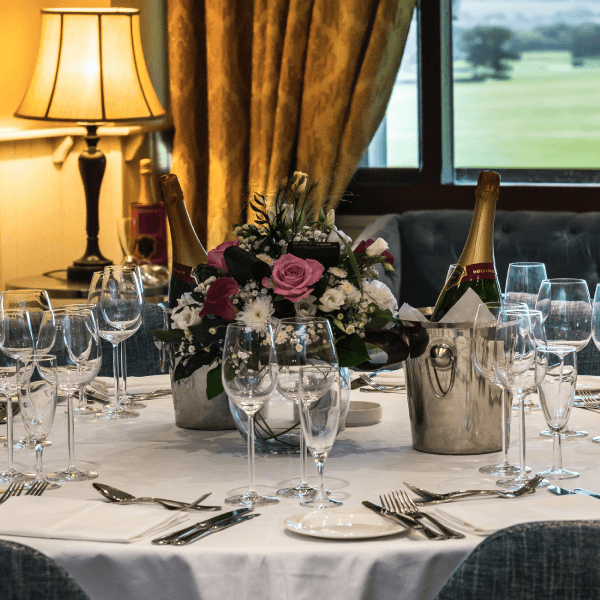 FOOD: A specially designed four course a la carte luncheon followed by an evening supper. DRINKS: Festival cocktail on arrival. Full cash bar with table service. Tailored wine and champagne list. EVENT PACKAGE: Reserved Enclosure admission, racecard, reserved parking (1 pass per 2 people) & live action feed on all flat screen tv's. BETTING SERVICES: Guest tipster, mobile Tote representatives & bookmaker. A festival favourite that sells out every year thanks to the brilliant trackside location, vibrant atmosphere and delicious menu. LOCATION: Excellent trackside location between the final fence and the finish line. Ground level with viewing lawn just metres from the action. Easy access to the social hub of the festival as the Sky and Champagne bars are nearby. 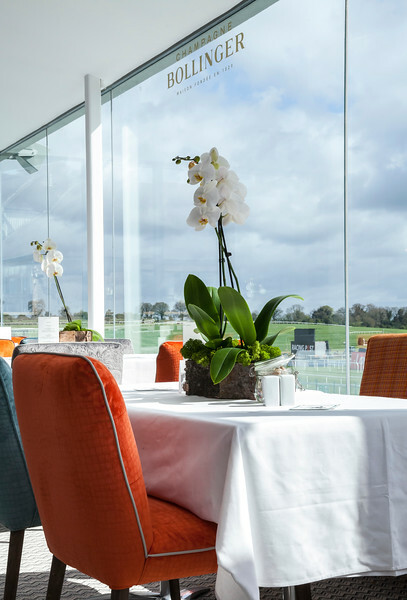 STYLE: Pavilion style with fully glazed panoramic views of the track. Light and airy. Specially designed arrivals reception. Round tables. TABLE: Private tables of 10. Smaller parties may be accommodated on shared tables where available. FOOD: Four course served lunch. 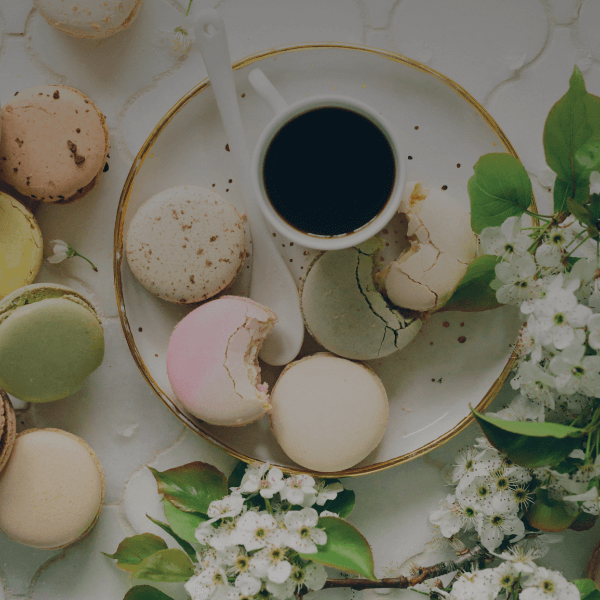 Sweet and savoury afternoon tea. DRINKS: Full cash bar table service. Specially selected wine and champagne list. 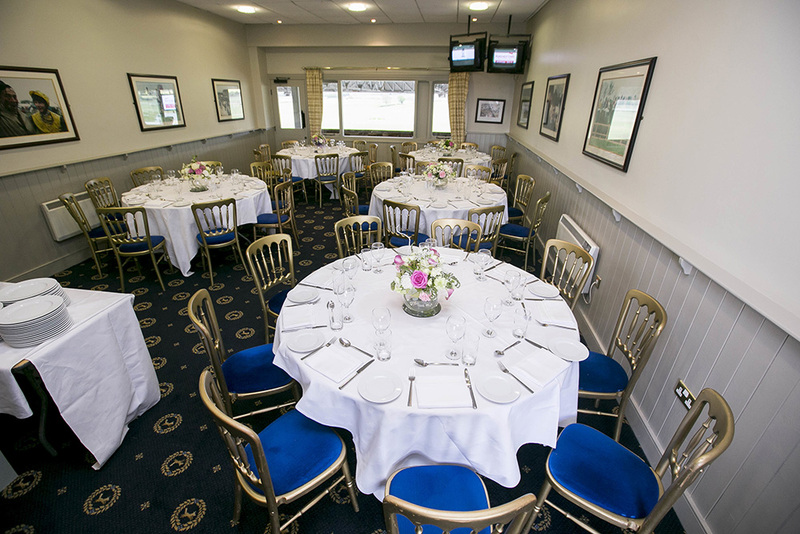 EVENT PACKAGE: Reserved enclosure admission, racecard, live action feed on flat screen t.v’s. après racing live music. BETTING SERVICES: Guest tipster, mobile Tote representatives, bookmaker. There is so much to love about the Festival Pavilion package not least the setting, five course lunch and open bar. LOCATION: Excellent trackside location between the final fence and the finish line. Ground level with viewing lawn just metres from the action. 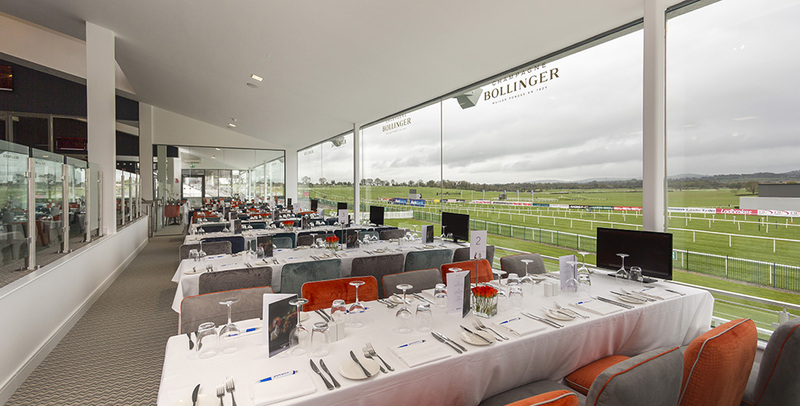 Within easy reach of the Sky and Bollinger Champagne Bar in the reserved enclosure. 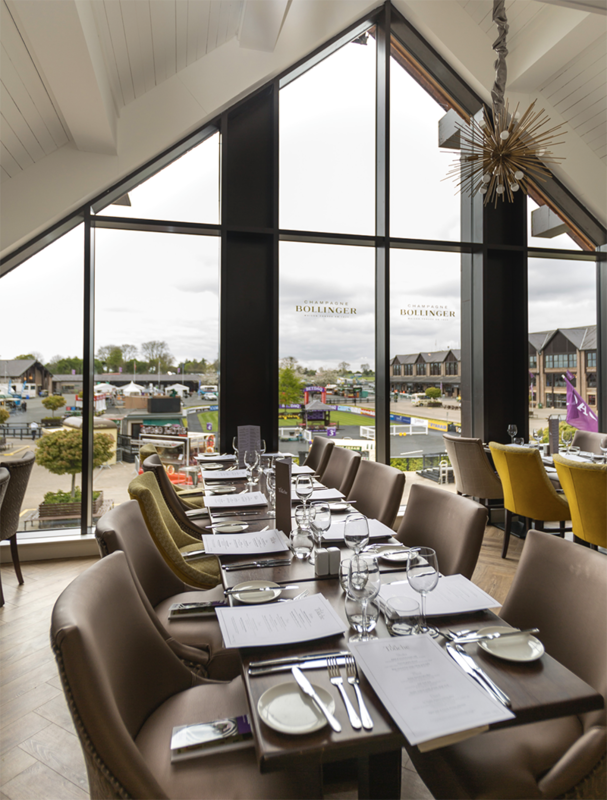 STYLE: Pavilion style with fully glazed panoramic views of the track. Light and airy. Specially designed arrivals reception. TABLE: Private tables of 10. Smaller parties may be accommodated on shared tables. Subject to availability. FOOD: Five course lunch with wine. Sweet and savoury afternoon tea. EVENT PACKAGE: Reserved enclosure admission, racecard, reserved parking (1 pass per 2 people), live action feed on flat screen televisions. 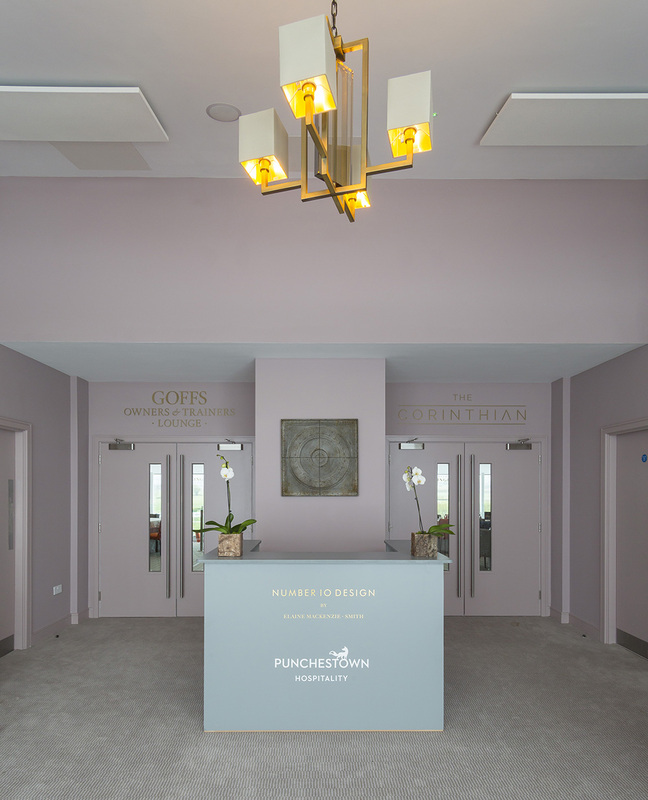 Introduced at the 2018 Festival, The Corinthian Restaurant is the flagship venue of the new Hunt Stand and has already earned a big reputation. 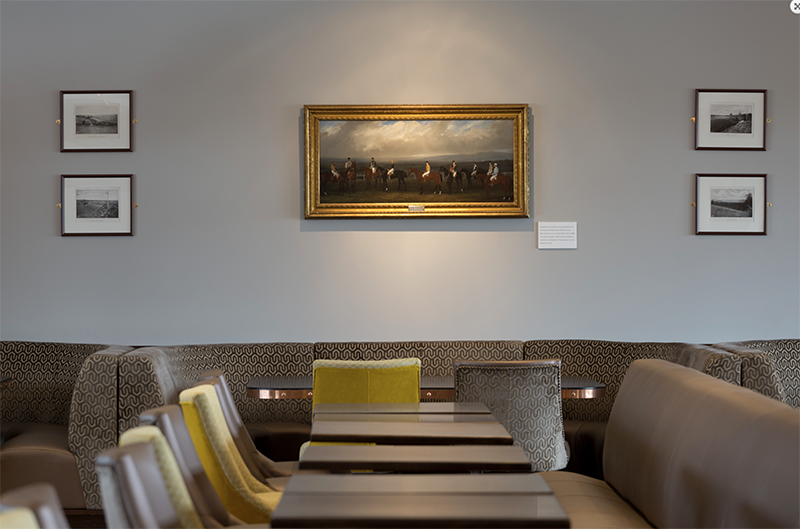 LOCATION: On the first floor of the Hunt Stand in the heart of the reserved enclosure and overlooking the final furlong of the famous Punchestown track. This exciting new venue boasts an exclusive 40 metre balcony and easy access to the viewing terrace. STYLE: Elegant in décor, style and service. A split level plan with floor to ceiling panoramic views of the track and stunning landscape beyond. TABLE: Private tables of 2 - 10 subject to availability. 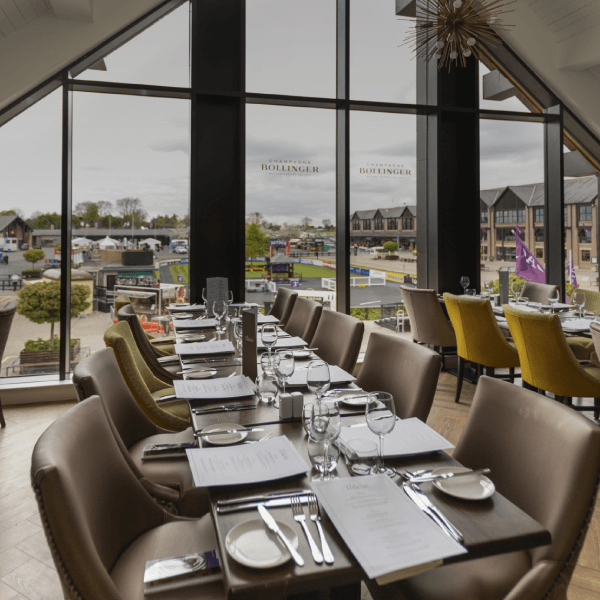 FOOD: A showcase of seasonal and local produce have been incorporated into a specially designed menu. The theme is modern french cuisine with the classics at heart. DRINKS: Festival cocktail on arrival. Full cash bar served to your table. Expertly curated wine and champagne list. 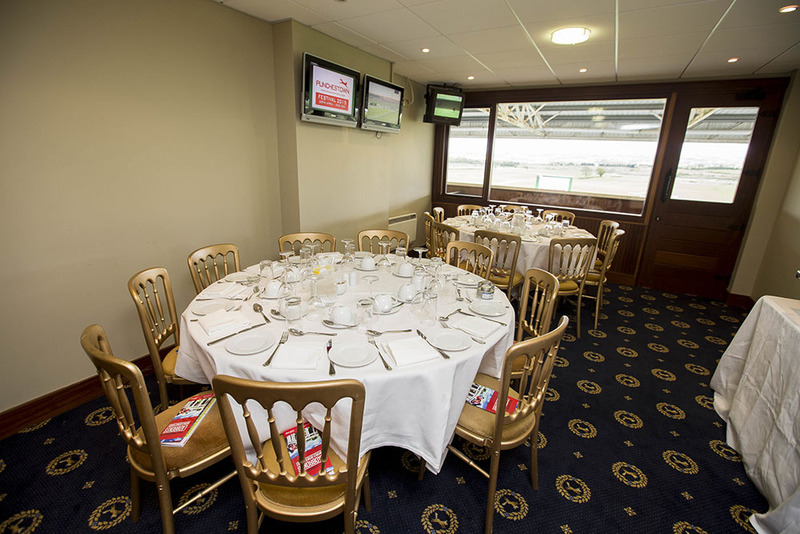 A collection of private suites are located on the top floor of both the Panoramic and Grand Stands. 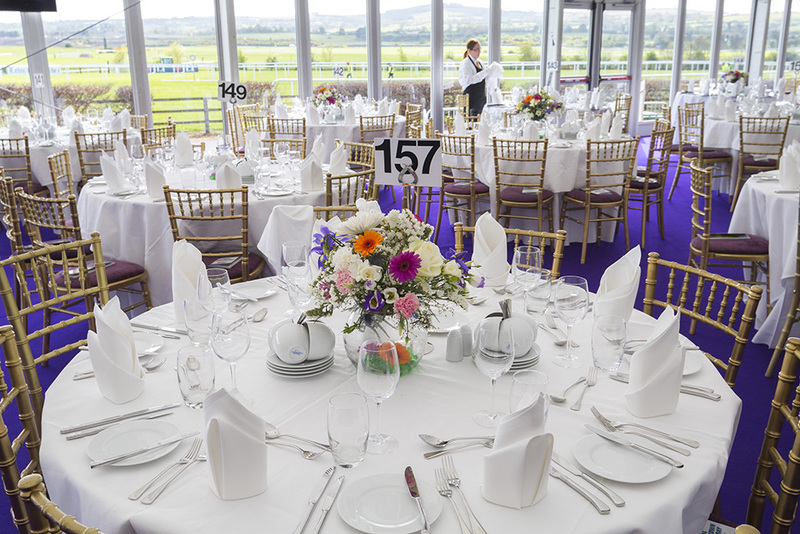 Each suite has a private balcony with superb views of the finishing straight and track beyond. STYLE: Each suite will offer guests an intimate hospitality experience. Suites can cater for between 20 and 60 guests in a buffet style. 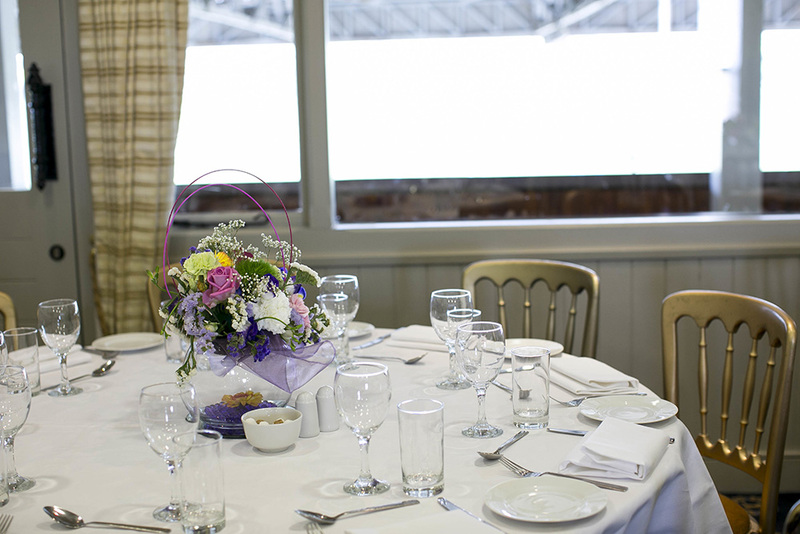 FOOD: The catering team will bring you through the selection of menus on offer as part of the Private Suite Collection. 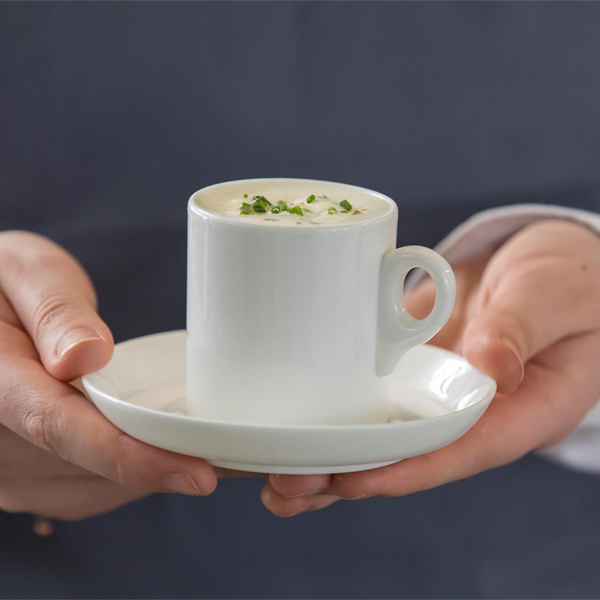 DRINKS: Each suite comes with a dedicated staff member to look after you and your guests. 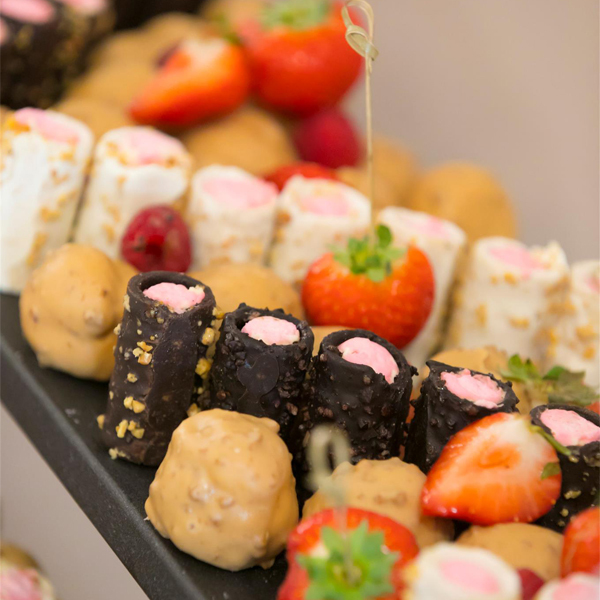 Bars are stocked to your requirements upon liaising with the catering team. 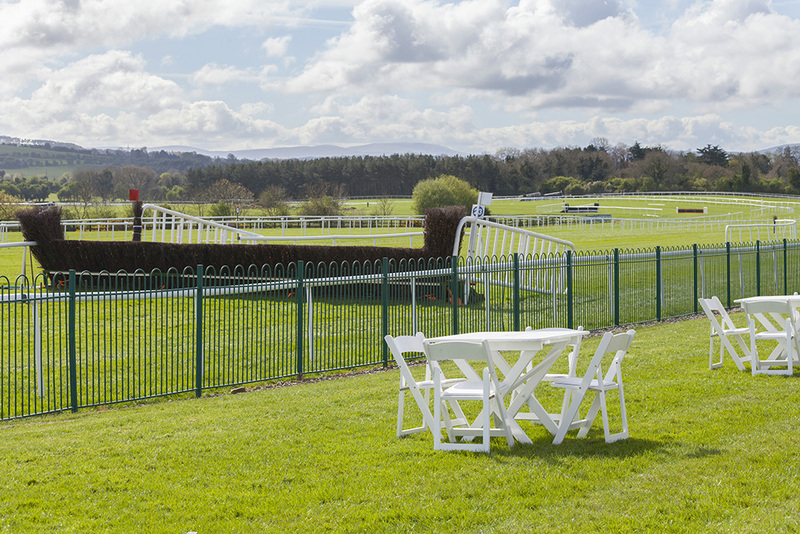 EVENT PACKAGE: Reserved Enclosure admission, racecard, reserved parking (1 pass per 2 people). BETTING SERVICES: Mobile Tote representatives, live action feed on plasma screens. Please call Laura, Margaret or Sue to discuss your specially tailored package. 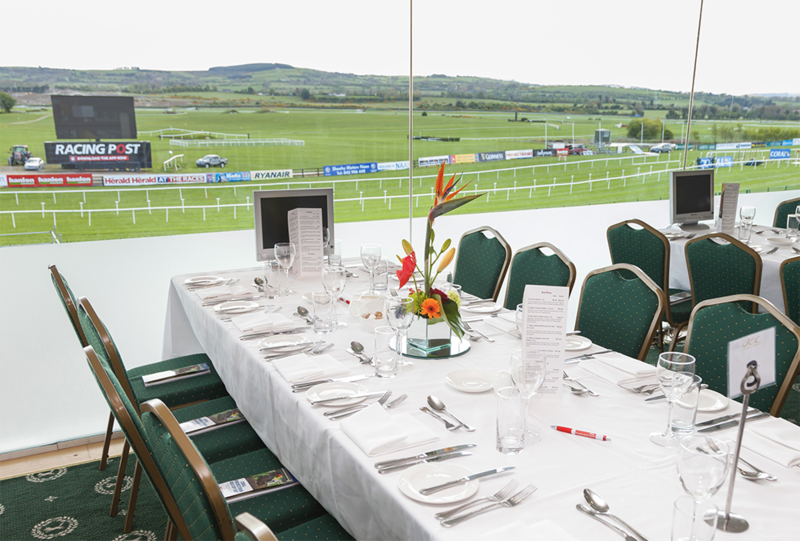 This package offers an all- inclusive experience at the home of jump racing with a delicious four course lunch starring alongside the on-course action. 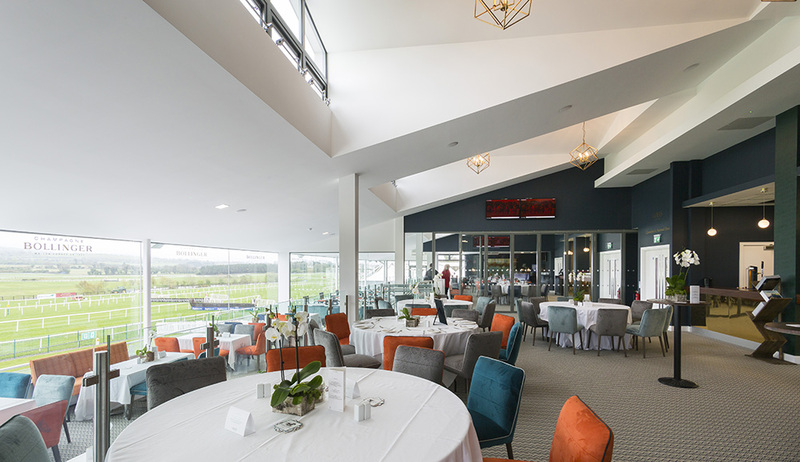 At just €79 per person, you and your guests can enjoy an action-packed afternoon whilst dining in style in our trackside venue. 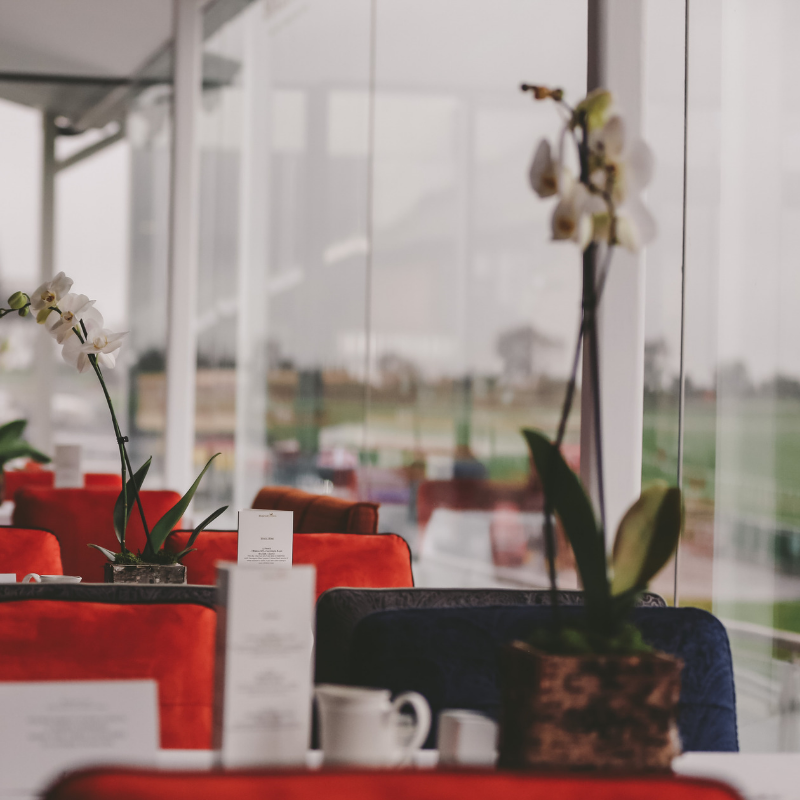 A vast majority of non-festival trackside offerings are set in The Watch House at Panoramic restaurant, with wonderful views of the racecourse. The split level layout ensures that every seat in the house is a great one. 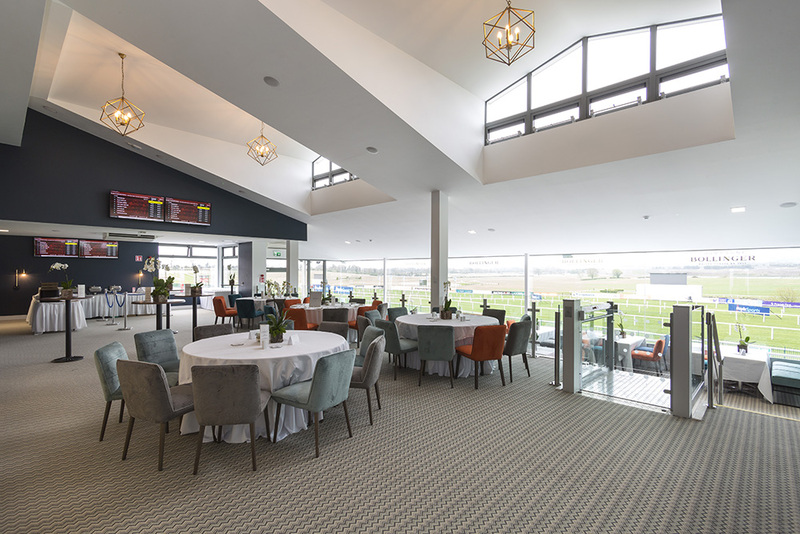 Occasionally this package may be hosted in one of our alternative venues which also offer excellent views over the finishing straight. 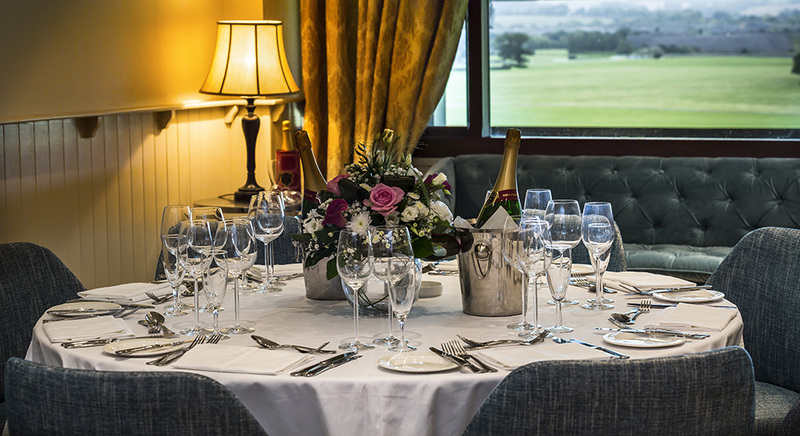 For a more intimate racing experience the Punchestown Private Suites are ideal from groups of between 20 and 60 guests. 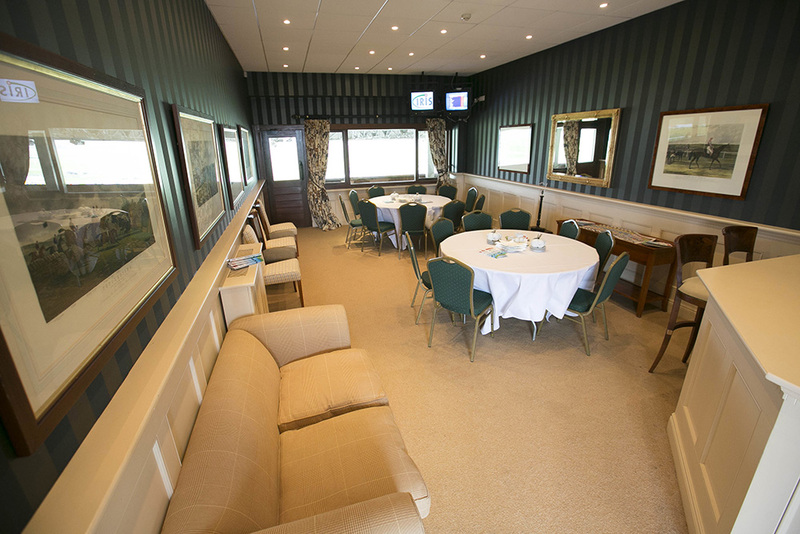 These Suites are all wonderfully located on the top level of our Grandstands. 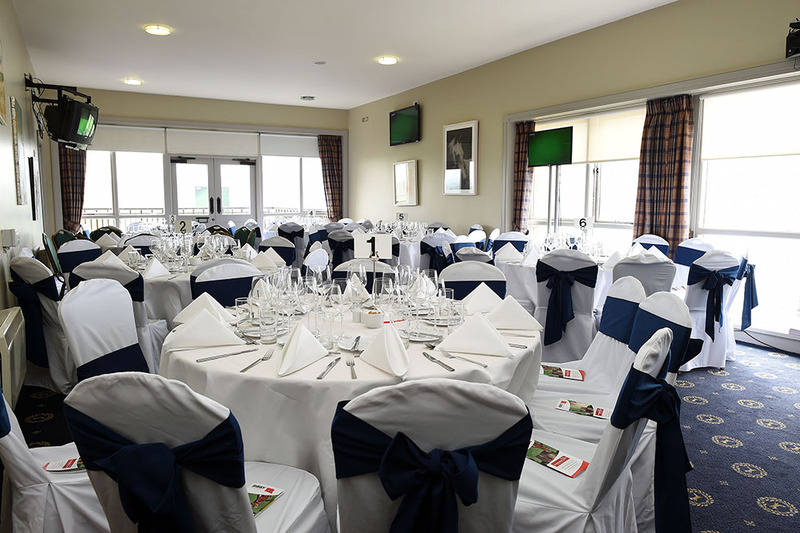 Your party will enjoy excellent views of the racecourse and winning straight from the Suites private balcony. 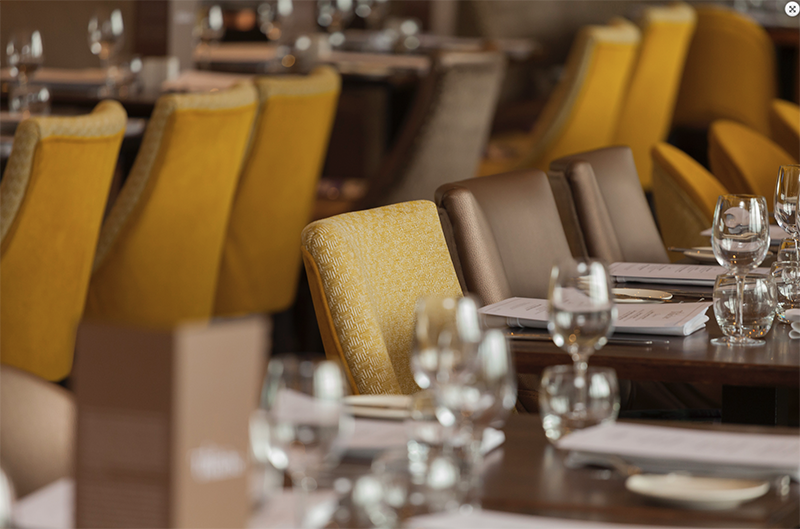 Guests will enjoy a private bar and your every need will be looked after by a dedicated member of our catering team. Exclusive use of a Private Suite. Flat screen TV within suite.